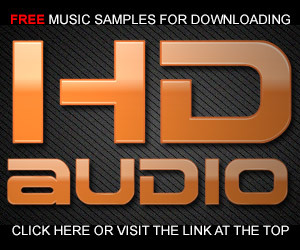 What percentage of stuff about audio that you read on the web is hyperbole or just plain wrong? I’m finding that more and more “experts” are trying to cast their opinions as the truth. Here’s an example. I received this from a reader who asked what I thought about it. It was taken from a forum. “Analog tape should definitely be up sampled at the highest possible frequency and even then Hi-Res digital still does not quite capture all the sonic fidelities of Master Analog Tape. Forget about the numbers that are thrown out to support a position, most are meaningless without the reference levels. Let’s start with the first line. Upsampling is something that happens to digital signals not analog ones. If you have a CD spec soundfile at 44.1 kHz/16-bits, it is possible to upconvert or upsample it to 88.2/16. All you have to do is double the number of samples. However, it doesn’t enhance the fidelity of the music at all. The fidelity is locked in at the time of the original recording. I think what the person was trying to say is that high-resolution specs should be used when capturing or converting an analog tape to PCM digital. That does make some sense…but 96 kHz / 24-bits is more than sufficient to capture “all of the sonic fidelity of Master Analog Tape”. He’s dead wrong about high-res digital being incapable of capturing the sound of analog tape. Let’s next take a look at the second paragraph. During a recording production, the engineer must make sure that the loudest sound doesn’t “clip” the available dynamic range of the equipment being used to record the selection. It was especially important when using analog tape because the dynamic range of analog tape is constrained…to about 72 dB. Tape does have a smooth transition into distortion, which can sometimes be used to creative advantage but pushed too far and the recording is worthless. PCM digital doesn’t allow any overages…when you exceed 16-bits or 24-bits, there is no place left to go. But experienced engineers simply move their reference level down (typically to -14 dB) and set the loudest peaks to just barely reach 0 dB. 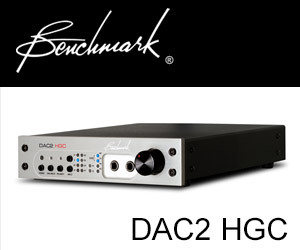 High-resolution PCM digital audio has the potential to provide 130 dB of dynamic range and even more. Analog tape can’t come close. If hi-res digital is the “dullest thing” his ears have ever heard…he’s got a hearing problem. Analog tape masters can sound amazing…but they have their limits just like every format. High-resolution PCM digital has the potential to eclipse every format currently available. That’s a fact that is hard for many analog advocates to accept. Lots of engineers like the “sound” of analog tape but that doesn’t mean that it is the most accurate format available…it’s absolutely not. Do I really need to parse this couple of sentences? It’s wrong, too. The Kickstarter campaign continues at Music and Audio Guide. Please consider posting to your FB page or sharing with your network of friends. We’re coming down to the last 10 days of the campaign. A good master tape encoded with Dolby A is better than 72 db. Perhaps 80 or 90 db, but it’s not 144 db like a 24 bit PCM recording. But if you want to keep it strictly in the analog domain, a good master tape will outpace my turntable. You’re right Jerry and Dolby SR can do even better than that…but I’m comparing analog tape without noise reduction. Reality check: Dolby A affords 10dB of noise reduction (possibly 15dB @ 15Khz), not 20dB. Dolby SR affords up to 25dB at high frequencies, 18-20dB mid-band, and was the best NR Dolby ever made. Too bad it was introduced after 16/44 PCM was already popular. Today’s 24 bit never hits 144dB. Ever. For a whole lot of reasons. One big one: There’s exactly one ADC that does 144dB, and you won’t find it in use much because it costs like a mint. Real 24 bit S/N is about 18 – 20 bits, that’s it. Analog tape without NR has many different dynamic range windows, depending on track format, speed, and tape formula. 72 is a hand average, but increasing tape speed changes the weighted SNR result. Tape may “soft clip”, but during that soft clip you get massive amounts of IMD, so it’s not a free ride. Don’t know why no analog-fans mention the time-base issues (flutter). Or the dropout issues. Or the crosstalk. Or print-through. Or…geez, I give up. Thanks Jim…your numbers are more accurate. I would quibble with the 18-20 bits assessment, but clearly we’re not recording 144 or even 120 dB! Analog tape is a beautiful technology but is just one of many aging formats. > All you have to do is double the number of samples. However, it doesn’t enhance the fidelity of the music at all. Upsampling does not modify the source fidelity. 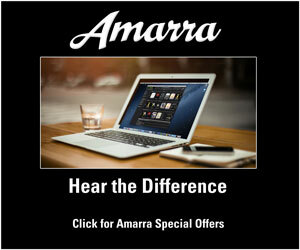 It may make filtering easier…and you may prefer the new sound, but the fidelity is the same. Upsampling does not modify at all, it gradually recovers the sound fidelity missed during recording due to limited number of samples used, which leads to reduced timing transient response. The Lavry factor is another thing, there 192 kHz would be sufficient. Thanks for contributing Jay. 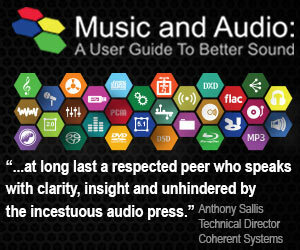 I can’t say I agree…there isn’t any “sound fidelity missed” using 96 kHz/24-bit PCM. It’s just sad that the current trend in HiFi is to mistakenly glorify ancient obsolete technologies at the cost of holding back the progress that we could be making in current recordings. Yes analog had its day and at it’s very best was capable of making some beautiful sounding recordings. But it’s best was bettered maybe 20 years ago or more and today’s technology is able to make a monkey out of anything that has ever been done on tape. Let it go people, put it on a shelf with the rest of the antiques. Analog audio recording and delivery is as obsolete as analog video. 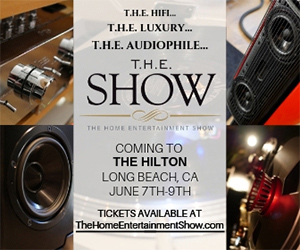 Embrace the future and support the advancement of the Art of Music Reproduction. I’ve got my fully restored 1925 Atwater Kent Compact 20 and Zenith 1939 Racetrack radios in the rack and warm them up every now and then for nostalgia sake but I don’t use them to listen to music any more either. Is it any wonder that young people are looking at LP’s or analog tape after ten years or more with mp3 files and ear buds?. Keep up the good work. “the fidelity of the original analog source is not enhanced by conversion to a digital format in spite of the ‘hi-res’ label. Nobody thinks it is, the issue is if hi-res is better than 16/44 for doing transfers. You have said that 24/96 covers it adequately, which is fine, but for consistency why not state16/44 is all you need? Is there is any enhancement to fidelity in using 24/96? I for one would really like to know. I take it there isn't, and I thank you for the education, I will buy good CD transfers and not look for hi-res downloads. There are actually lots of folks that would disagree with you. The CD specification covers virtually everything…but there are frequencies that eclipse the upper range of CDs. The benefits of 96/24 are real for the upper range filtering, the move of pre-ringing up another octave, and the added accuracy of the high frequencies. Is it subtle? Yes. But for recording produced with fidelity in mind. It makes a difference.